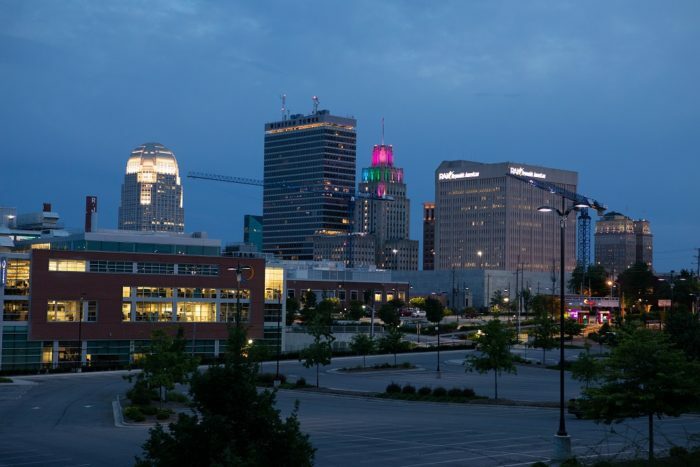 National General Insurance, a property and casualty insurance company, plans to expand its operations in Winston-Salem to create 626 new jobs over five years. The company currently employs 1,405 people in North Carolina. The company, a subsidiary of National General Holdings Corp., plans to invest $12.2 million in the expansion by the end of 2022. National General, formerly the GMAC Insurance Group, is based in Winston-Salem and was founded there in 1920. The company is planning to expand its current operations to provide customer service and grow the company’s technology operations. New jobs will be in the areas of accounting, sales, analytics, human resources, information technology, legal, operations and other business functions. National General will add a variety of job functions with this project, with an annual payroll impact expected to be more than $30 million when all positions have been added. Average salaries are expected to be above the Forsyth County average. The North Carolina Department of Commerce and the Economic Development Partnership of North Carolina (EDPNC) led the state’s support for the company’s selection. National General’s expansion project in Forsyth County will be supported in part by a state Job Development Investment Grant (JDIG). Over the course of the grant’s 12-year term, the project will grow the state’s economy by an estimated $1.9 billion. Using a formula that accounts for tax revenues generated by the new jobs, the JDIG agreement authorizes the potential state reimbursement to the company of up to $5,600,700 spread over 12 years. State payments occur only after the company has met its incremental job-creation and investment targets. Because National General chose to expand in Forsyth County, classified by the state’s economic tier system as Tier 2, the company’s JDIG agreement also calls for moving as much as $622,300 in new tax revenue generated through the grant into the state’s Industrial Development Fund – Utility Account. The Utility Account helps rural communities finance necessary infrastructure upgrades to attract future business. Partnering with Commerce and the EDPNC on this project were the North Carolina General Assembly, the North Carolina Community College System, Forsyth County, the city of Winston -Salem and the Winston-Salem Chamber of Commerce.